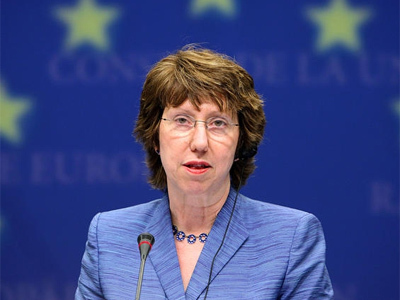 Catherine Ashton, EU foreign affairs chief, said she would decline Tehran’s invitation to inspect its nuclear facilities, saying that task is designed especially for IAEA inspectors. Ashton told reporters that the “role and responsibility” of inspecting nuclear sites is for the International Atomic Energy Agency (IAEA). Earlier this week, Tehran invited Russia, China and the European Union to tour its nuclear facilities, in what observers say is an attempt gain support ahead of a new round of talks with six world powers at the end of January. The new round between Iran, and the permanent UN Security Council members – the U.S. Russia, China, Britain, France – plus Germany, is scheduled to take place in Istanbul, Turkey in late January. The purpose of the talks is to determine what steps should be taken in regards to Iran's nuclear program, which is viewed by the United States and its allies as a cover for a secret nuclear weapons program. Tehran denies the accusations, saying it is simply wants to diversify its energy capacities. Iran insists its uranium enrichment program is designed to generate fuel for a future complex of nuclear reactors. Meanwhile, an Israeli newspaper cited Israel’s outgoing spy chief saying that Iranwill not have a nuclear weapon before 2015. 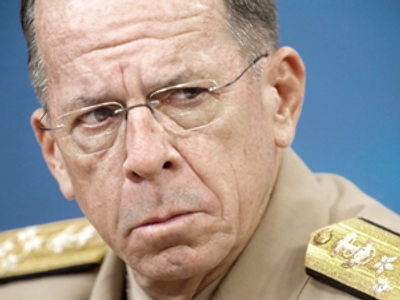 The daily Yediot Ahronot, quoting Mossad director Meir Dagan, reported that Iran's nuclear program has been delayed, due to unspecified “measures” organized against it. In November, an Iranian nuclear scientist was killed and another wounded in two separate but similar attacks in the capital, Tehran. Police said the scientists were killed by individuals on motorbikes who attached bombs to their cars as they drove to work. President Mahmoud Ahmadinejad accused "Western governments" and Israel of being behind the killing. In September, a malicious computer virus, called Stuxnet, was designed to go after several "high-value targets.” Some observers say the bug was specially designed to infiltrate and destroy the control systems of Iran’s nuclear facilities. Although some Israeli officials have provided gloomy prospects as to when Iran may acquire nuclear weapons, other assessments say the Iranians are still many years away from developing a nuclear bomb. But only the IAEA is in a position to say for certain. Now it’s up to Iran to let it continue its inspections.